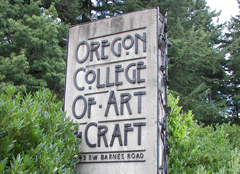 The Oregon College of Art and Craft Library will be closed Wednesday 11/25th, Thursday 11/26th, Friday 11/27th, and Sunday 11/29th, due to the Thanksgiving Holiday. They will be open to students and instructors on Saturday, 11/28. Thanks for your understanding and Happy Thanksgiving! Spooky halloween activities at Cornelius!